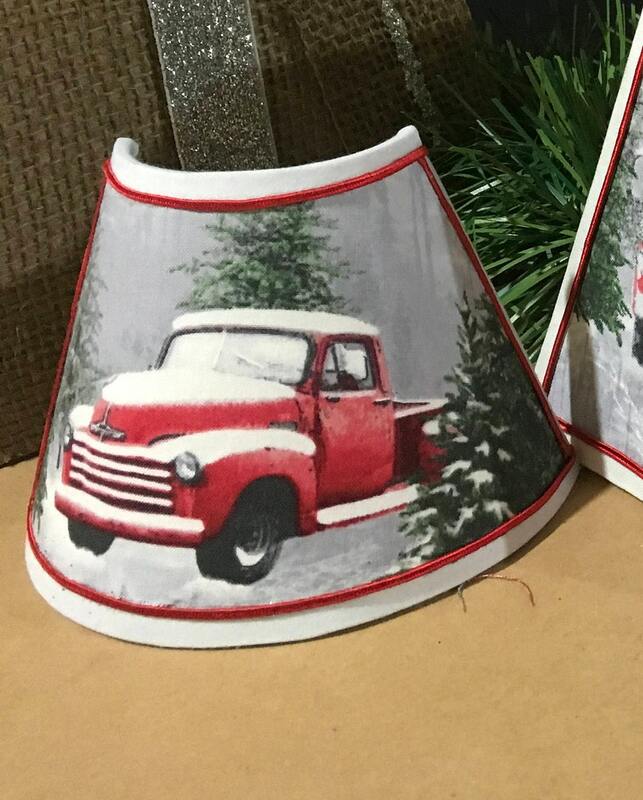 Beautifully handcrafted night lights in holiday fabric featuring a vintage red truck. The nightlight can also be ordered with your photo as the image - just add a note telling me how you will be sending your photo - regular mail, email, or text. Or order one in a variety of other holiday fabrics or tear round fabrics (navy lobster, red lobster, navy oars, or white with navy starfish - or an image of your logo, sports team, group, club, organization, map, or nautical chart) The price includes one standard plug-in with an on/off switch and a 5 watt bulb. This is intended for INDOOR use only - and covers the entire switch plate. Choose your own trim color for the edging, and if none is specified I will use my creative eye and add trim that compliments your shade. It measures 5.5" wide x 3" deep x 5" tall.